As trends change, so will demand for office furniture. Balancing newer styles with classic materials is one way to endure trends. 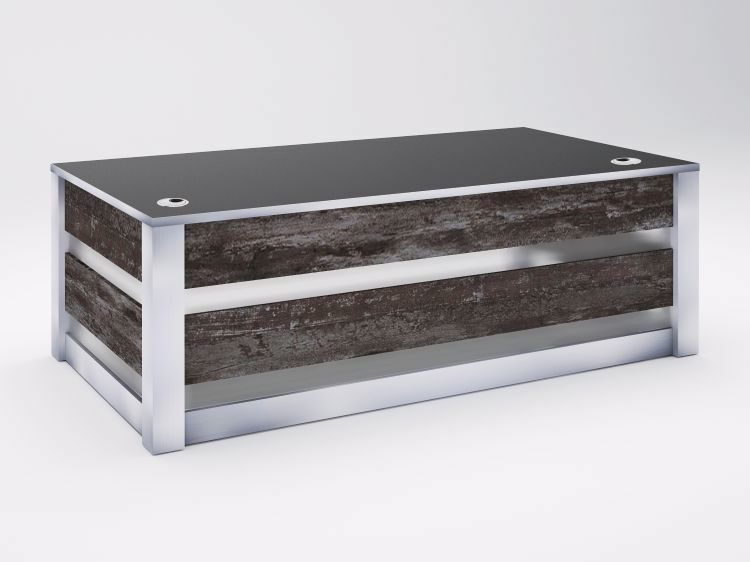 Choosing furniture that’s made well with quality core materials ensures quality. Selecting furniture that matches the business culture keeps both office design and business activity harmonious. At 90 Degree Office Concepts, we help designers and DIY-ers create perfect office design solutions. By offering trendy designs that can be matched with classic materials, we help create timeless looks. Because we offer a variety of materials to mix and match with modern office furniture designs, clients can control their budget. By taking a little design risk, you can stay ahead of the curve and become better at office design than you ever thought you could. 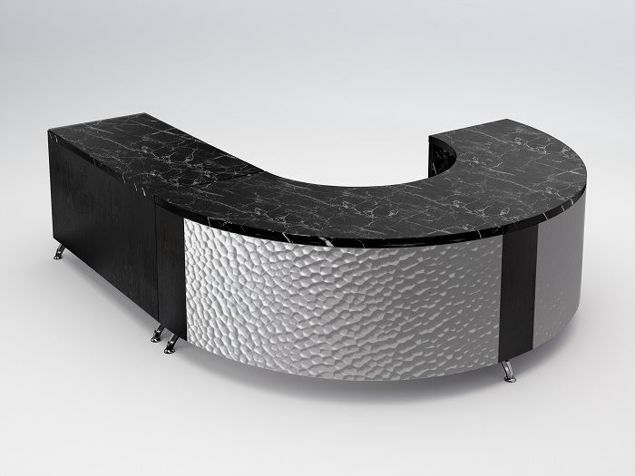 When putting together the design layout for the Santa Rosa Executive Desk, our intention was to create a look and feel that was trendy, yet classic and still affordable. The design is simple with a mixture of Calais panels and frosted acrylic glass. It provides a translucent element with colorful, contrasting horizontal panels. The Santa Rosa Executive Desk can be ordered as a 24" x 60" desk or as large as 36" x 96" W. This Executive Desk comes in an array of colors while still maintaining our entry-level price. This allows you to choose a basic design that is really affordable, or upgrade to other materials and finishes. Get a basic desk at 24" D x 60" W, or increase the size according to your needs. The entry-level Santa Rosa is offered in Calais panels with acrylic, and can be upgraded with HPL, wood veneer, and/or metal options. 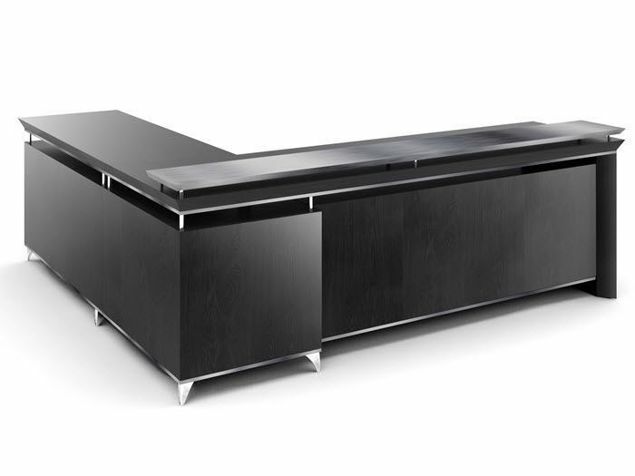 This Santa Rosa Modern Executive Desk shown here (36" D x 72" W) is done in black panels with gray veining and acrylic underlying material. 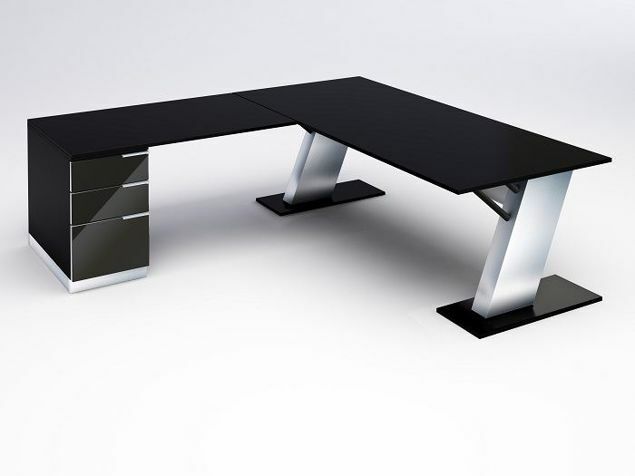 The work surface is shown in black HPL with brushed aluminum edge band. Priced at $2,532. Doesn’t Work for What You Have in Mind? Happy to hear your ideas! You can select the size, material, color, or finish you want, and we will help you put it together. Need to upgrade to something more appropriate? We can help. Let us show you how to put it all together affordably. It’s simple! Just tell us what you want. Call us: 855-699-0334.